CONvergence is Imminent! Per usual, I’m finishing up last minute things before heading to the hotel tomorrow. 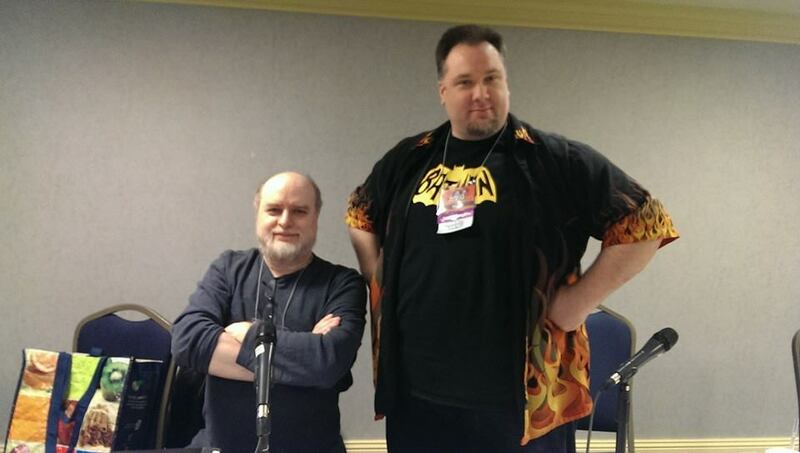 I’m really looking forward to hanging out with Greg Weisman and talking Gargoyles and Young Justice all weekend. I’m also on two shipping panels on Saturday night. I blame Tumblr for that. You can’t see it, but I’m right now comically shaking my fist in the direction I presume Tumblr to be. Yeah, Tumblr, that will teach you. Anyway, if you see me around the con, ask me for one of my cool Time Lord Batman Ribbons. I’ll post my CONvergence schedule below with links to the online schedule so it’s easy to join my events. 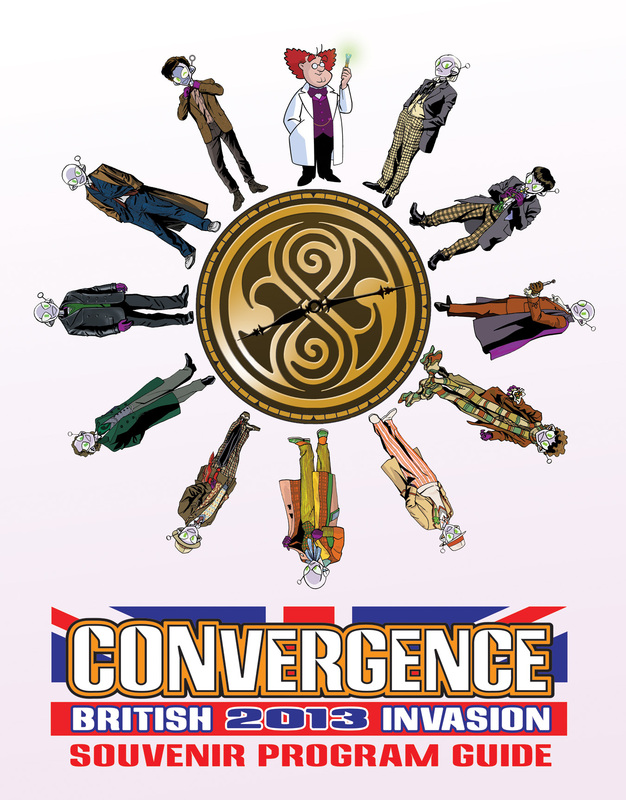 In addition to my signings, I will have a few of each of my art prints available in the CONvergence art show. 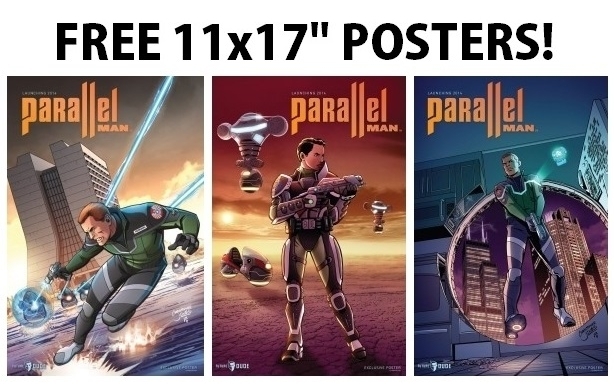 FREE POSTERS at the panel!! Take a look at the new sci-fi adventure coming to you later this year as a comic, a computer game, and in development as an animated TV series, feature film, and toy line. 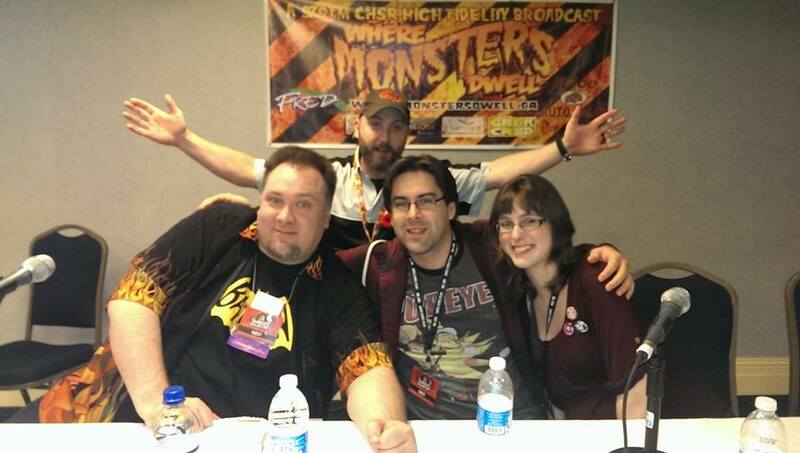 With local creators Jeffrey Morris, Rob Callahan, and Christopher Jones. 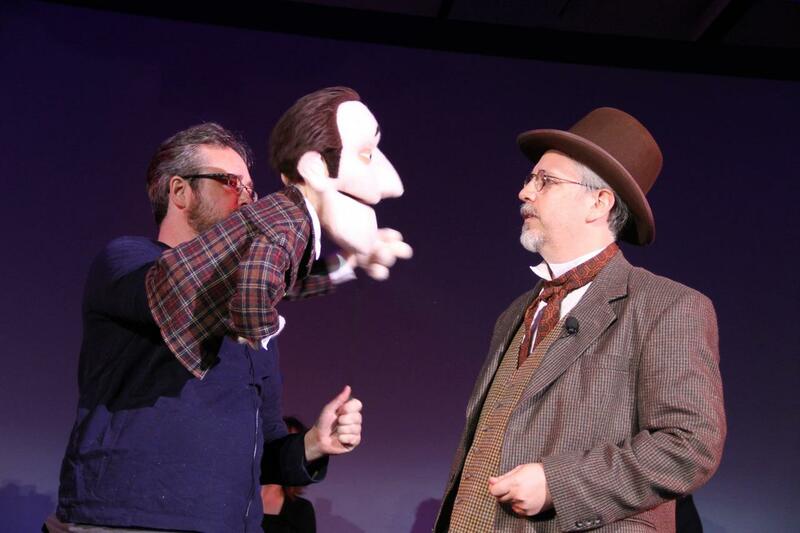 If it’s not exactly a magical invocation, it is nonetheless our official kick-off for the convention! Join Connie as we welcome our Guests of Honor, give out some awards (including the Mark Time and Ogle winners), and get this party started. Bring your wand and cloak to this year’s Smackdown for some Magical Mayhem! Wizards, witches, warlocks, and sorceresses will be judged as our panel of “experts” decides who lives and who dies in our mystical iron cage match! We’ll discuss the physics of our favorite highly unlikely costumes, from unreal women’s shapes and male upper bodies to unrealistic body armor. 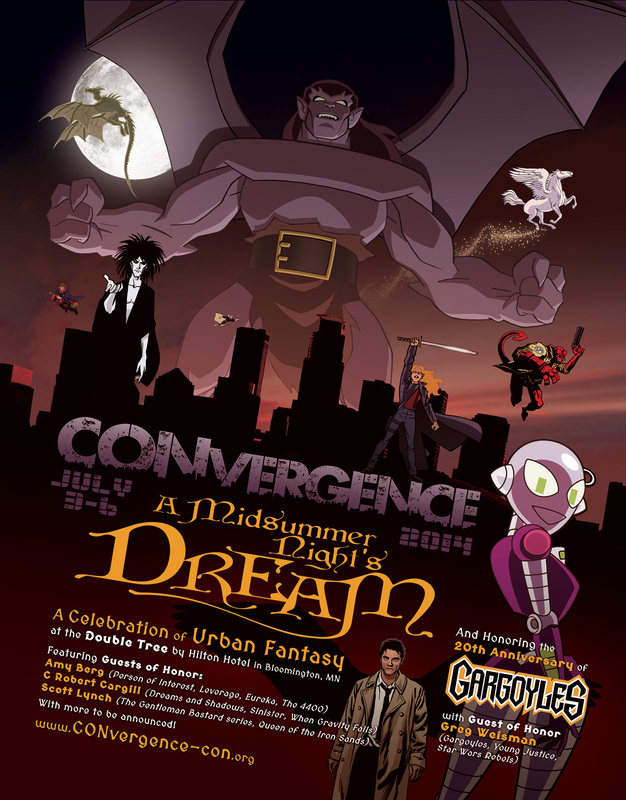 We’ll discuss the TV shows that expanded into the comicverse, such as Buffy, Smallville, and Gargoyles. Did they succeed? Were any of the comics improvements on the shows? How did canon change during the transition? I’ll be selling and signing Young Justice trade paperbacks and prints along side Greg Weisman and Greg Guler. 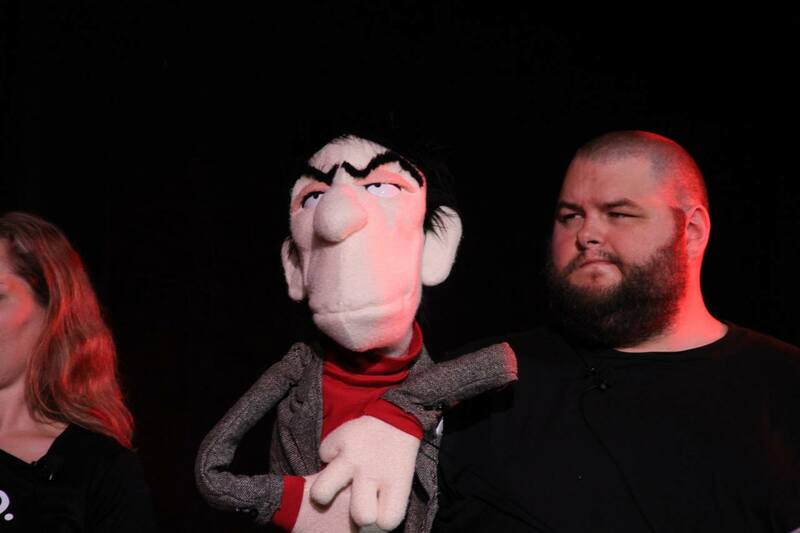 Join the cast and creators of “Gargoyles” to talk about the show and comic books. Writer Greg Weisman and artist Christopher Jones host an informal gathering for fans of Young Justice! Come hang out, chat, get autographs and take photos. 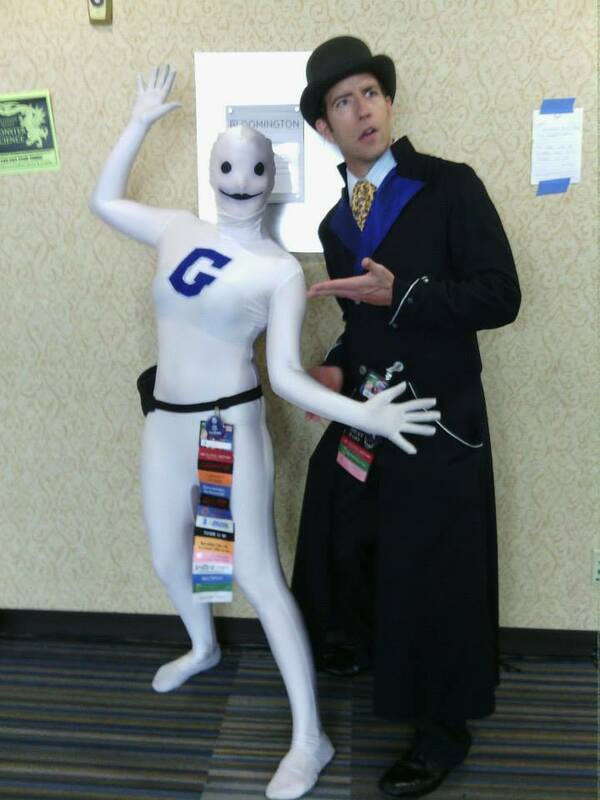 Cosplay is encouraged but not mandatory! I’ll be selling and signing Young Justice trade paperbacks and prints. Ever wonder about the sexual habits of Gargoyles? Ever wonder who was sleeping with whom among the Young Justice Team or the cast of Spectacular Spider-Man? Join us for for a late night peek at your favorite animated series. This panel will get blue! If Thor and Storm got together, they would have cute little thunderbabies. 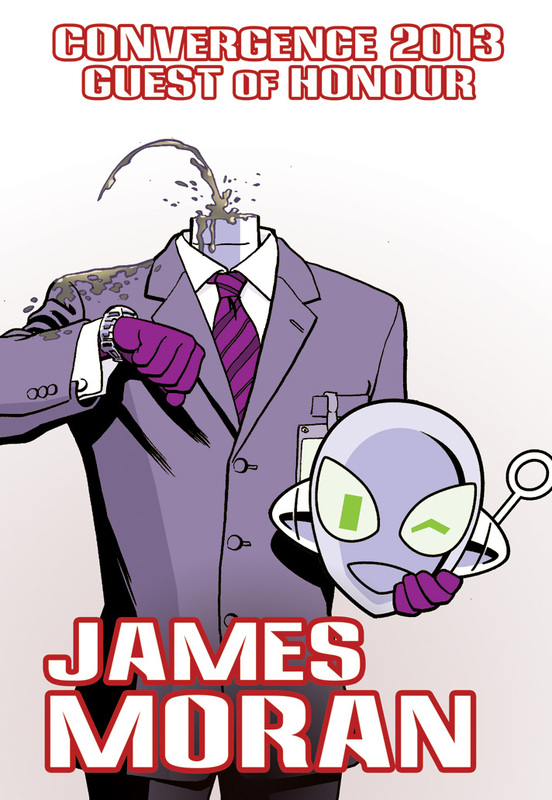 I’ll be selling and signing Young Justice trade paperbacks and prints alongside Tim Lieder. The artists return to the Thunderdome with new challenges to challenge their brain and their artistic integrity. 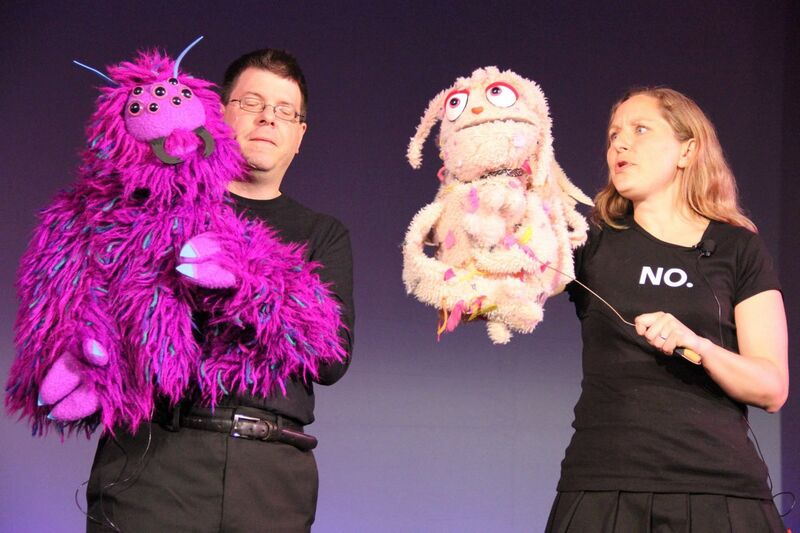 Join us to find out how artists can achieve the IMPOSSIBLE! Some of the creative minds behind the Young Justice TV and comic book series will talk about this fan favorite. 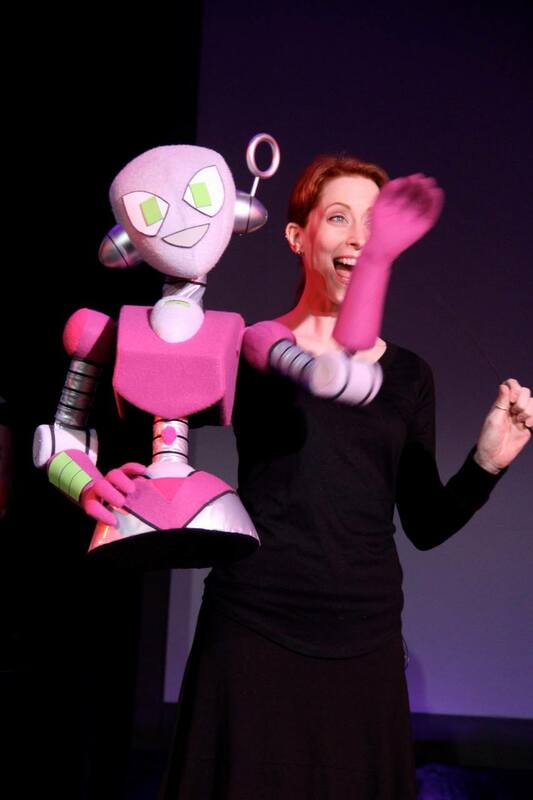 It’s not over ’til the gynoid sings – or something like that. 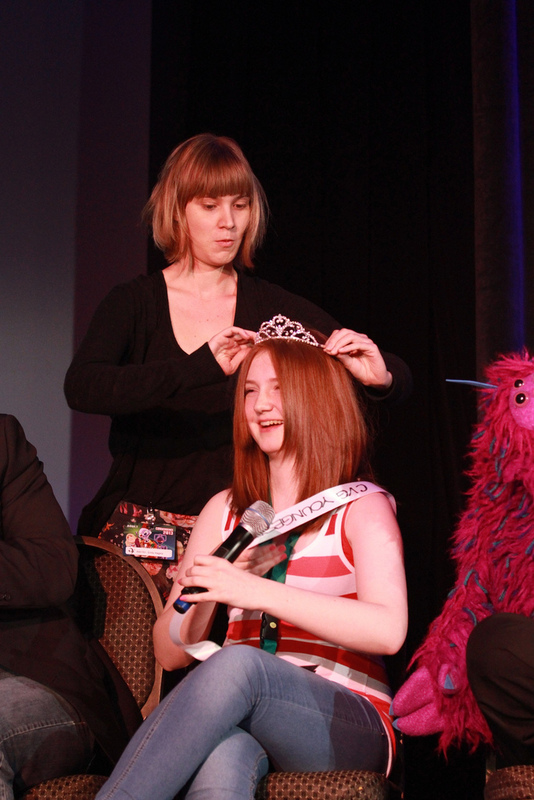 Join Connie and our Guests of Honor as we say farewell to another convention. Shenanigans may ensue. 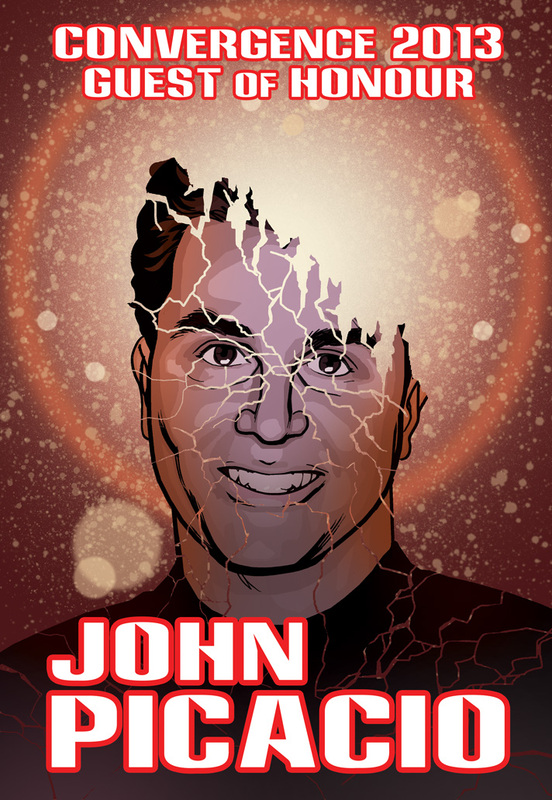 CONvergence | Christopher Jones | July 2, 2014 7:57 pm | Comments Off on CONvergence is Imminent! Most conventions I attend fall into one of two basic types: The comic con type model where I set up at a table for the weekend and the con structure is basically a large trade show open for a set number of hours each day with an emphasis on a dealers and signings, or the more “social” style convention like CONvergence and many others, where the convention is in a hotel and the event runs late into the night if not around-the-clock, with more emphasis on parties, programming, and other social events and entertainment. At that latter kind I can usually put some prints in the Art Show to generate some revenue to offset my expenses from attending the convention, and then I can happily spend my time doing some panels and signings and otherwise just being social at the con. There’s plenty of variation from convention to convention, but usually a given convention clearly fits into one of those two categories. 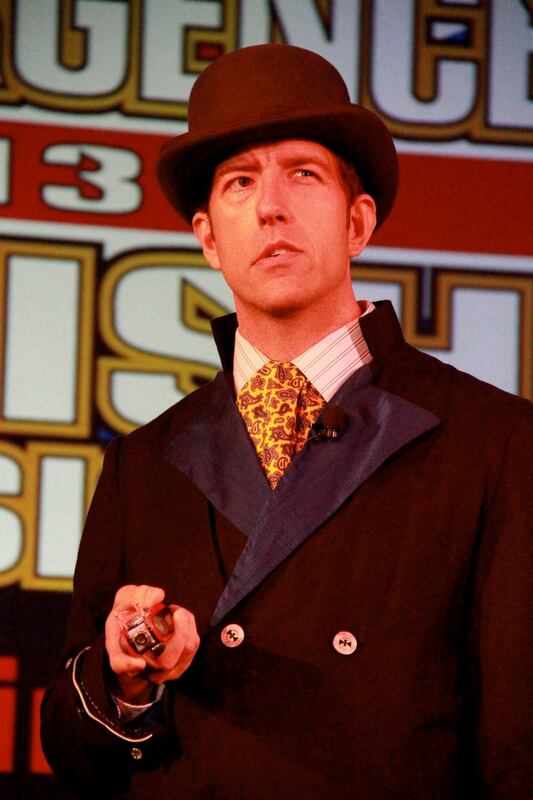 Hal-con came at the end of a marathon of convention appearances for me, so when I finally went to nail down the fine details of my appearance there I discovered I’d have to plan for a third type of convention, sort of a hybrid between the two. 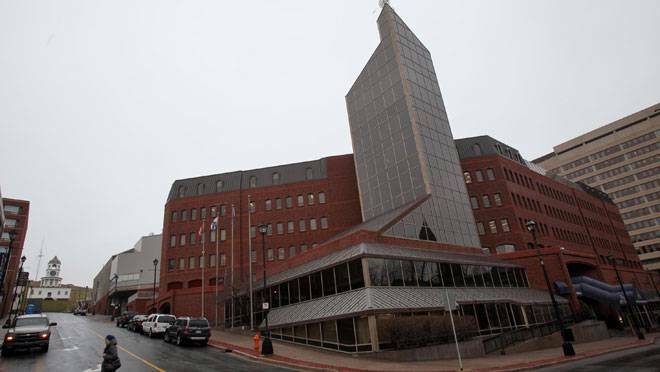 Hal-Con is a young and rapidly growing convention and is bursting at the seams in their current venue, the Halifax World Trade and Convention Center. As they’ve been trying to make changes to the convention to work within the confines of that venue, they’ve eliminated their Art Show (which apparently wasn’t the huge deal there that it is at CONvergence and many other conventions), and Comic Artist guests weren’t being given any tables to set up at with the assumption that some time to do signings would be enough. The problem with that, of course, is that I couldn’t do my usual elaborate table set-up at the convention and let it stand for the weekend, and a couple of hours per day at a signing table doesn’t allow time to do commission sketches, as that drawing time has to be squeezed into the the occasional five minutes of down time between talking to fans, signing books, selling prints, etc. At most comic conventions, it can often take me more than 2-3 hours just to get in 20-30 minutes of drawing. Doing commission drawings with only a couple of hours a day at a signing table wasn’t going to work. So my trusty convention partner Hal and I devised a third model of convention set-up just for Hal-Con. We arranged to have 5 of my most popular prints to be available all weekend at the convention’s Merchandise table, which ended up working really well. We also developed a super-compact, quick set-up version of my table set-up that could fit into a single small suitcase. 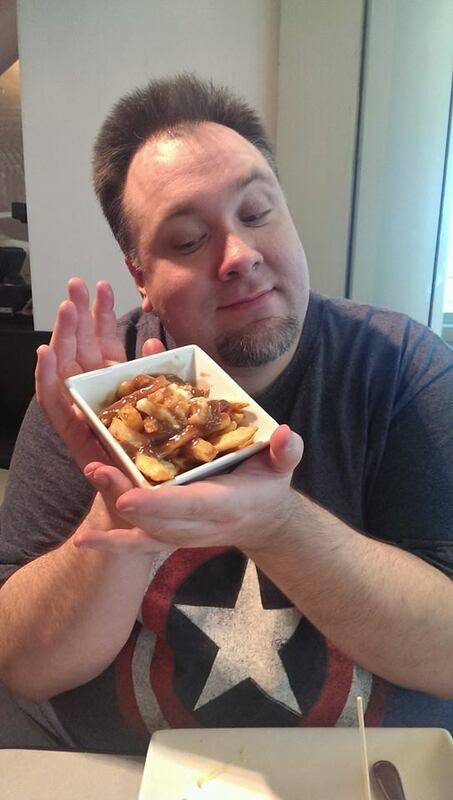 Poutine at the Toronto airport. Our adventure began by flying from Minneapolis to Toronto, where we had a long-enough layover to grab some lunch. It seemed appropriate to celebrate my first arrival in Canada by sampling poutine, which I’m told is a Canadian health food. And yes, I wore a Captain America shirt on my flight to Canada. But only because I don’t have any Alpha Flight shirts. 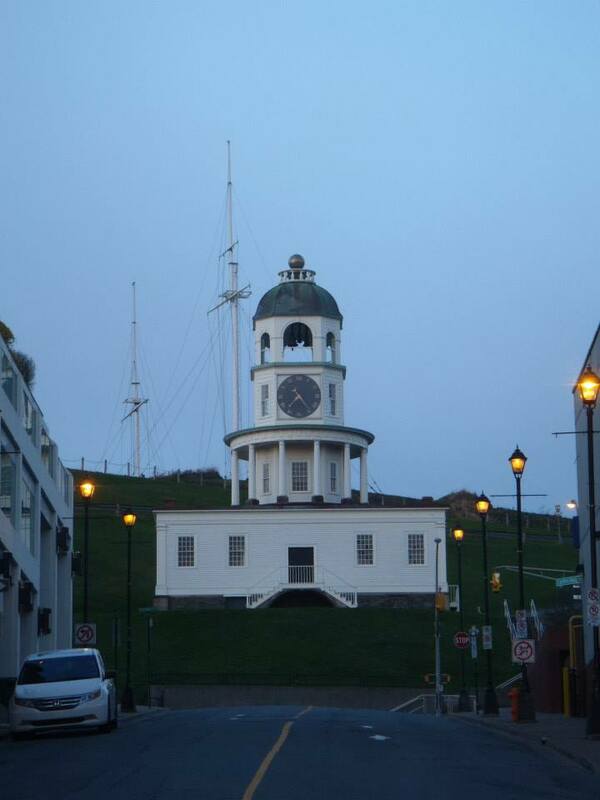 Prior to the convention, guests were warned to be prepared for the November Halifax weather. Of course, being from Minnesota, this wasn’t going to be anything we were worried about. Actually we’d been having our first real cold snap of the season before the trip, so it was a good 15-20F/10-15C degrees warmer in Halifax than back home in Minneapolis. 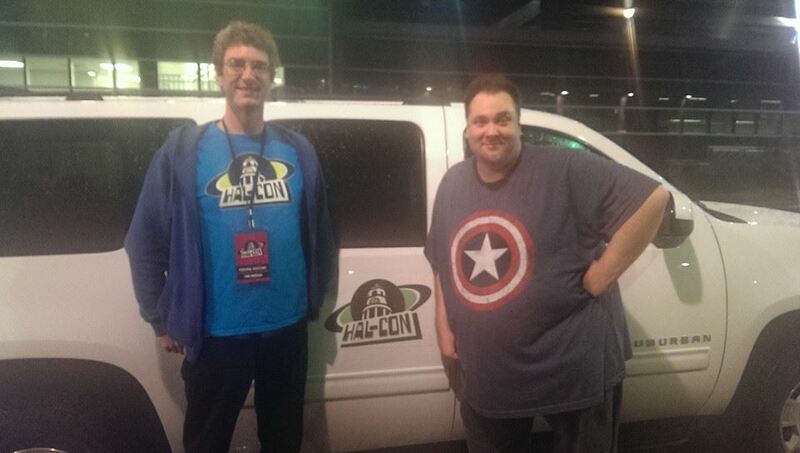 With Mark and the Hal-Con mini-van at the Halifax airport. We were met at the airport by Hal-Con volunteers, and were directed to a Hal-Con branded mini-van driven by volunteer Mark to take us to our hotel in the city. Our first look at the city was at night and in the rain. After arriving at our hotel we grabbed some dinner and called it a night, ready for the convention weekend to get started! 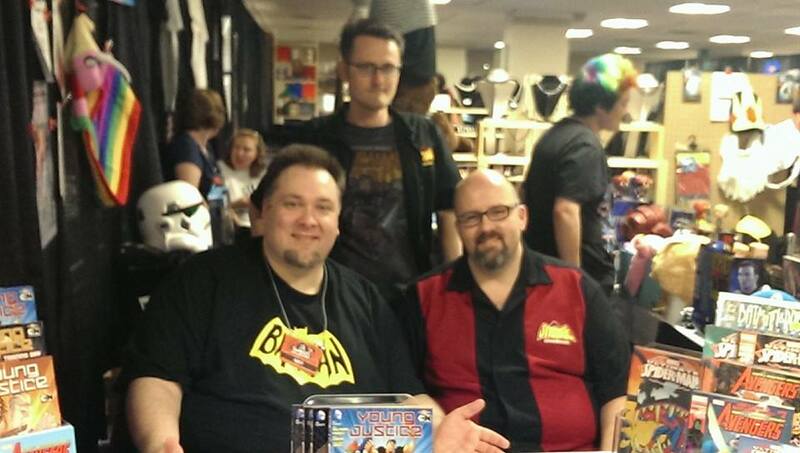 The Christopher Jones Art Team at Hal-Con 2013: Stephen LeLacheur, myself, and Hal Bichel. We were met in the lobby of our hotel by Stephen LeLacheur, who had volunteered to be my Personal Assistant for the weekend. 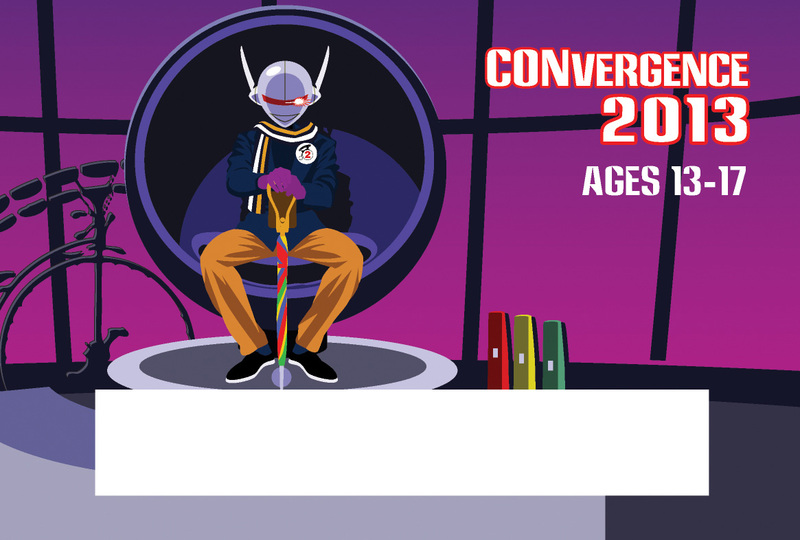 Hal-Con has a similar system to CONvergence where each guest is assigned an assistant (CONvergence calls them Liaisons) to make sure they find their way around, get to their appearances on time, and generally have help while they’re at the convention. Steve proved to be a great companion for the weekend and immeasurable help navigating the crowded convention center quickly to get me from event to event. Sometimes even getting that suitcase full of prints in and out of a storage area on an upper floor while I was sitting on a panel. He even went above and beyond and got me to a nearby Staples for some last-minute printing and procured some art markers to replace ones I failed to pack. Hal was her usual big help all weekend long, but the extra help and especially a native guide was a huge benefit given my packed Hal-Con schedule, so cheers, Steve! 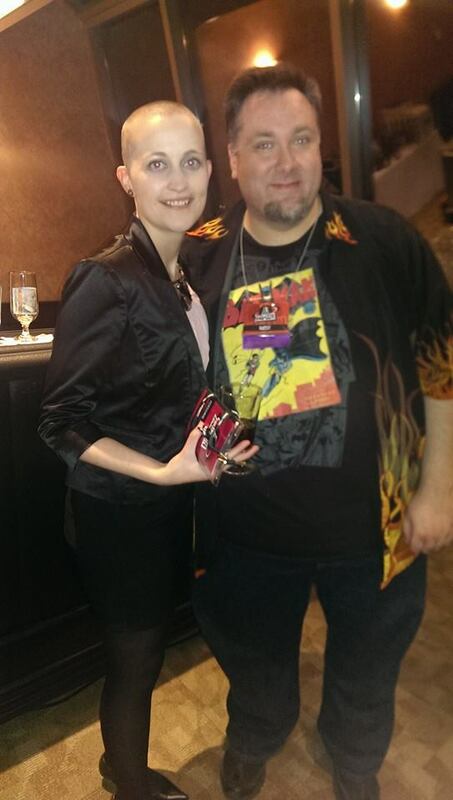 At my print display at the Hal-Con Merch table with Crystal, one of a number of volunteers who helped sell my stuff in addition to the fine Hal-Con merchandise. Steve directed us to the Halifax World Trade Center where the convention was being held. My first stop there was at the merchandise table to set up my prints. After that, I dropped off the original drawing I’d done of Hal-Con’s mascot Nelson as a contribution to Hal-Con’s charity auction. I also located the table for the Strange Adventures comic book store and introduced myself in advance of my signings there over the weekend. ● 1:45pm –­ 2:45pm: Process Panel with Peter Chiykowski and Ian Boothby. This was a pretty general discussion of how comics get made, how freelancers work, and how technology is changing that process. There was also some talk about working in the industry and the importance of networking at conventions and on social media. Good stuff. Time to grab the suitcase of prints and my banner and head for a 90-minute block signing at Strange Adventures. At my first Strange Adventures signing of the weekend. It comes as no surprise that Doctor Who is popular, especially weeks before the show’s 50th Annivesary, but I was amazed by how PACKED this room was. Standing room only! I mean, Peter Davison was at this convention, but this was a panel free of Who-celebrities; just fans talking about the show. It was a lot of fun and I had a great time. 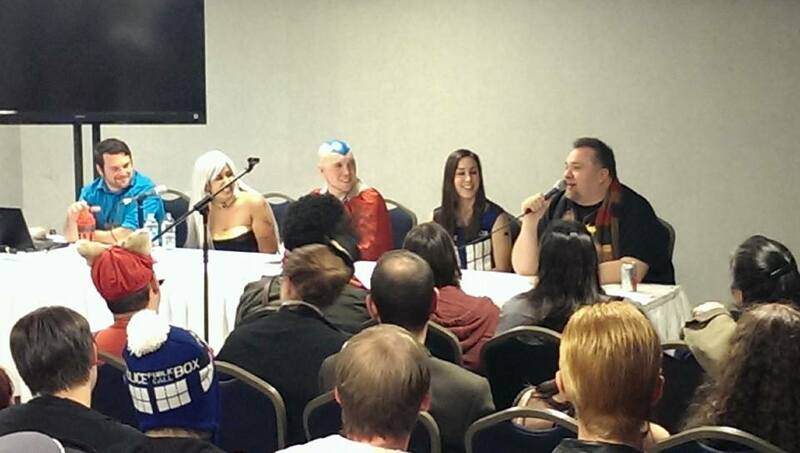 I would happily do a panel with these awesome fans again any day! 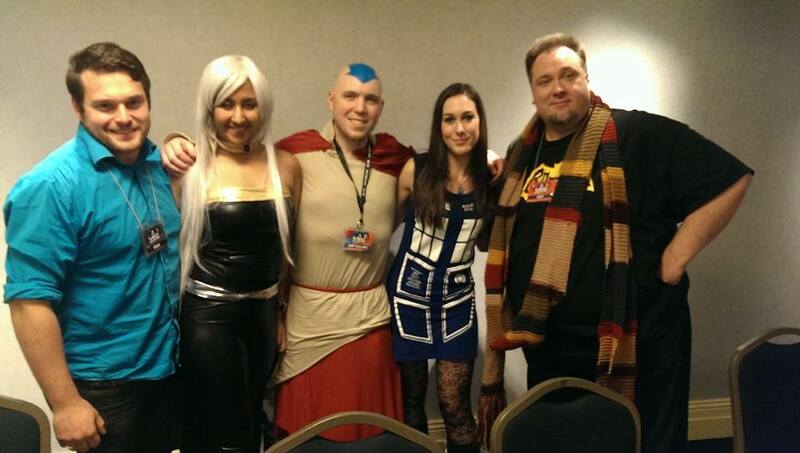 The Ethics of Doctor Who panelists: Nathan Dennison, Swasti Arora, Jay MacKinnon, Lauren Marie, & me. 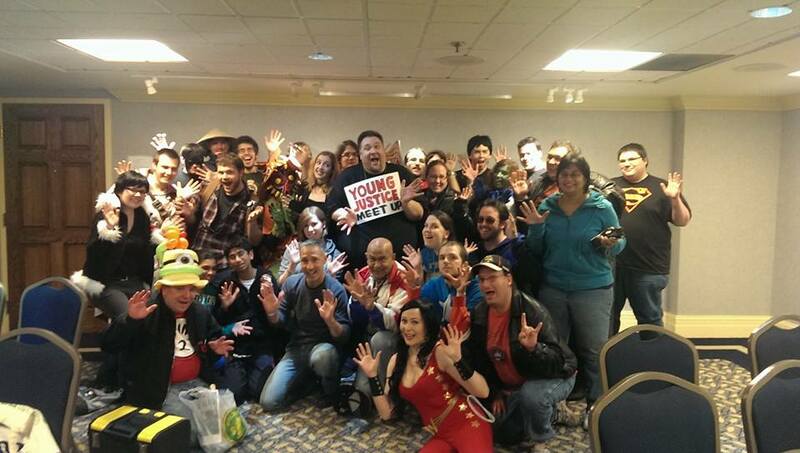 I’ve been organizing these informal Young Justice Meet-Ups at most of the conventions I visit for the past year. 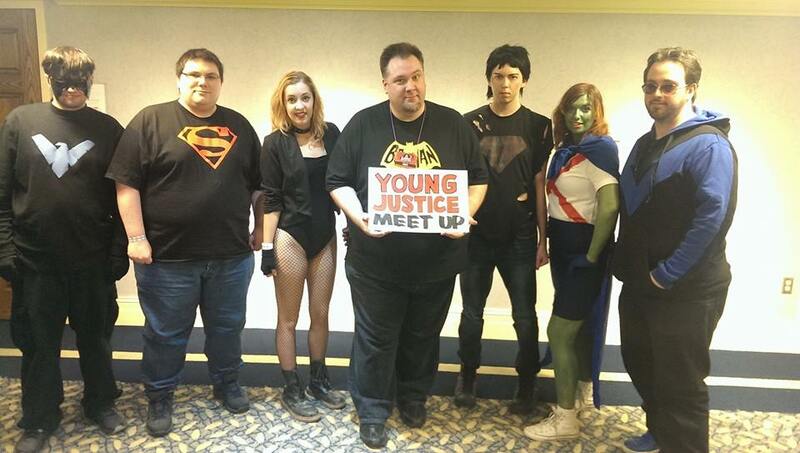 They’re a great way to draw the Young Justice fandom out of the woodwork and keep it alive and healthy. 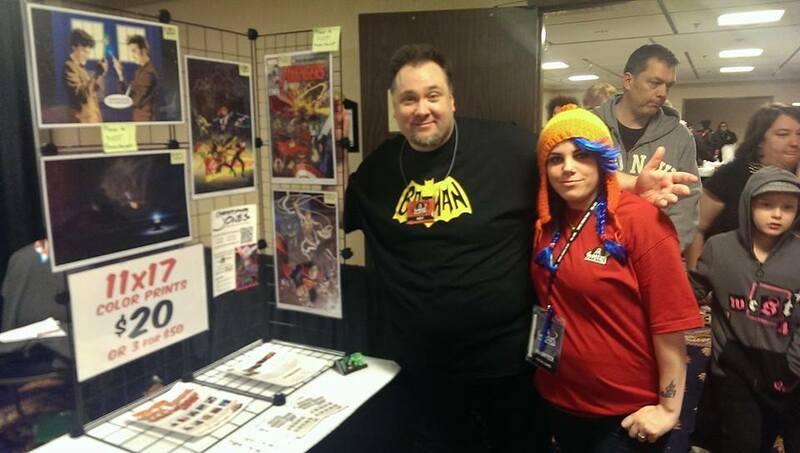 I invited Young Justice writer and co-producer Greg Weisman to the first one at the Gallifrey One convention in February 2013 , and now he’s doing them, too. I never am sure what to expect from these meet-ups. We just say when and where it is, that it’s a meet up both for cosplayers and other fans of the show and comic, and see what happens. An important aspect to them is that they’re informal, a chance for fans to meet each other and have some face time with anybody associated with Young Justice who can make it, and usually they include signing stuff and photos. The Young Justice Meet-up at Hal-Con had a few cosplayers but was mostly fans that wanted to hear about the show and the comic, so we spent most of the time doing Q&A, although we did get a few photos at the end. It’s hard to get one of the handful of bars near the convention center in Halifax to let you reserve much space on a Friday night. They know they’re going to be packed, so why set aside space they might not fill? Given that, the Where Monsters Dwell guys were only to get a reservation for 12, yet by that Friday the Comic Book Drink ‘N’ Draw Facebook Event had 54 people listed as “going” and an additional 39 “maybes.” Be sheer numbers we managed to take over one end of the bar, and every table seemed to have someone with a sketchbook out, drawing. Lot’s of artists talking to fans and each-other, and lots of drawing done. Much thanks to the Foggy Goggle and the Where Monsters Dwell crew for making it happen! 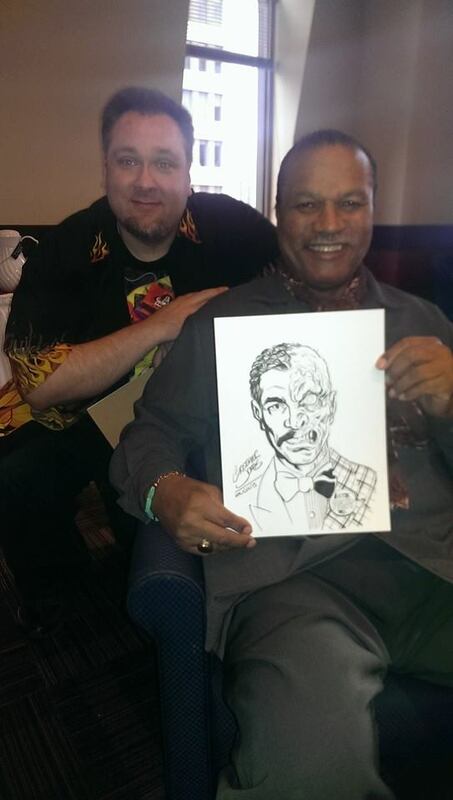 While there, it occurred to me that one of the celebrity guests at Hal-Con that weekend was Billy Dee Williams, who had played Harvey Dent in the 1989 Batman film (in addition to some other space movies he’s apparently known for.) He’d taken the role with the expectation of playing Tw0-Face in the sequel. 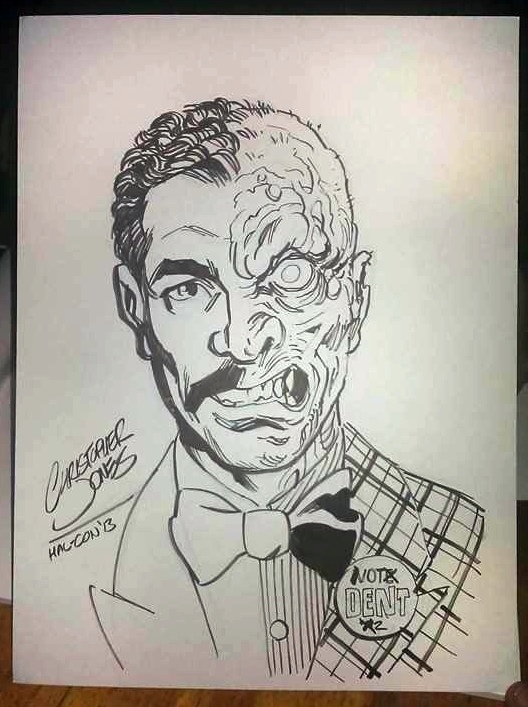 Things happened behind the scenes and that villainous turn never came to pass, but I thought it would be fun to draw a Billy Dee Williams Two-Face. I pulled up a photo of Billy Dee Williams from that era on my smart phone, and about a half-hour later I’d drawn the sketch you see above. 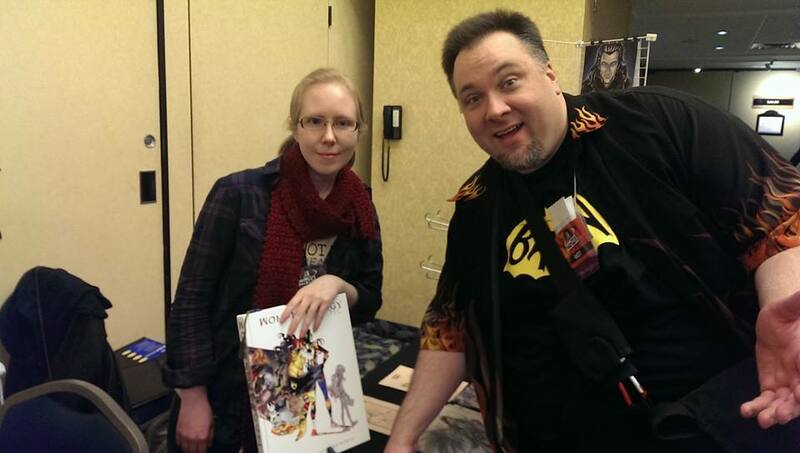 I think my Hal-Con assistant Steve thought I’d performed sorcery at the table! I was immediately asked if I was going to show the sketch to Billy Dee Williams, but I had no expectation of even SEEING him over the weekend. Usually at conventions I’m so busy doing my own stuff I never get to the panels or stand in the lines that would be required to see the celebrity guests. Saturday started with a nearly 3-hour stretch in the Autograph Area. It was nice to set up and then just stay put for a while and interact with fans. We got word that my Sonic Envy print was nearly sold out at the Merchandise Table, so we got them most of the rest of my on-hand stock and arranged to get some more printed up to meet the demand. I wasn’t clear on whether I was going to be interviewed or on my own at the “me” panel for the weekend, or whether I should have some kind of visual presentation. As it turned out I *was* on my own, and the room was equipped with an internet-connected laptop feeding video to a screen, so Hal rode shotgun on the panel, pulling up images from my web site to illustrate my talk. 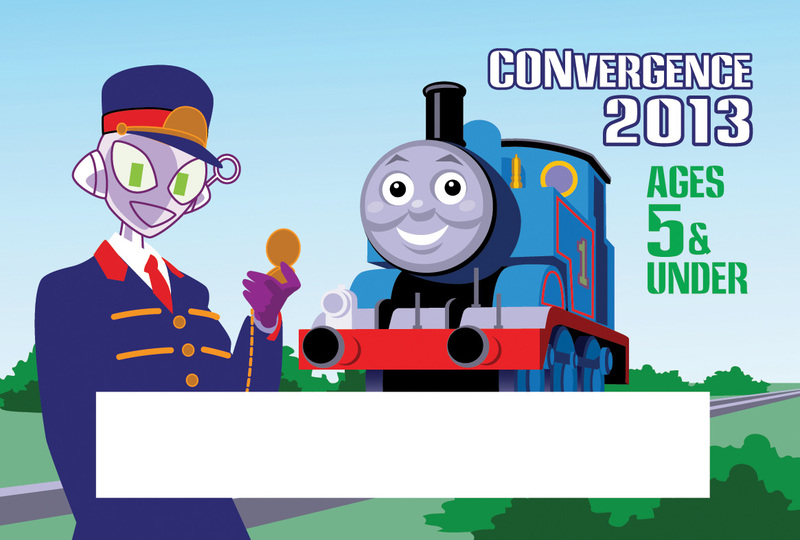 The Connie/Connie Mark II animations I helped produce for CONvergence 2010 got a great reaction from the Hal-Con crowd. 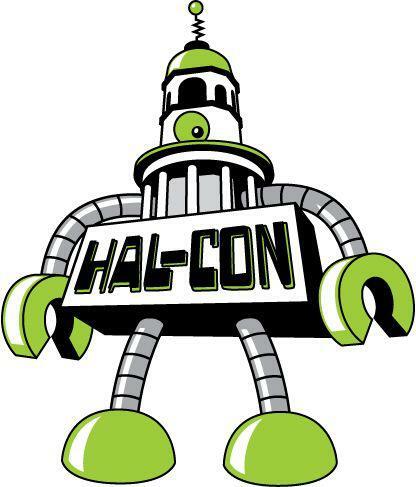 (See them here: part 1, part 2) Because, if anybody was going to appreciate the robot convention mascot thing, it was Hal-Con! 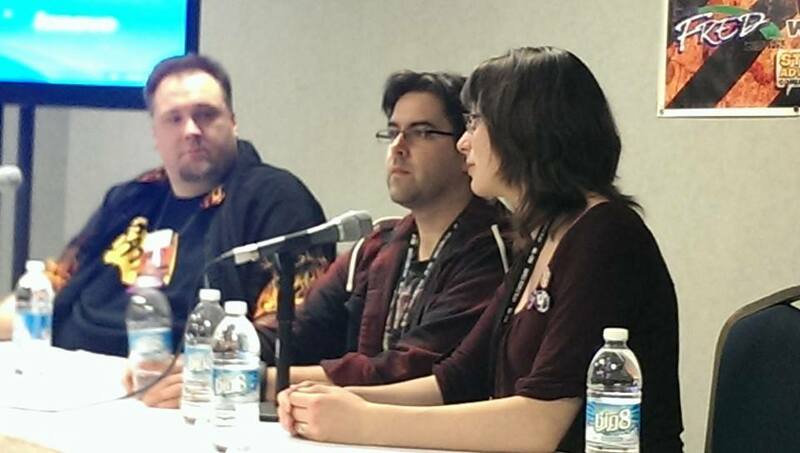 We even showed my rambling “response to tumblr” video. Next up was my only real break of the day so Hal, Steve and I headed up to the rooms that we being used as Hal-Con’s Green Room area. We walked into one of them and there sat Billy Dee Williams. We’d heard that his flight had gotten in late and that he was quite tired, so I was reluctant to bother him, but after being assured it would be OK, I pulled out my Two-Face sketch from the previous night and approached him. I explained the thought behind the art and showed it to him, and added that he’d be welcome to the artwork if he wanted it, to which he replied “I was just going to ask you if I could have it.” He graciously let me get a photo with him and the art, but I wanted to let him rest in the privacy of the green room area so after that I left him alone, feeling I’d accomplished a mission of some kind. Then it got better. 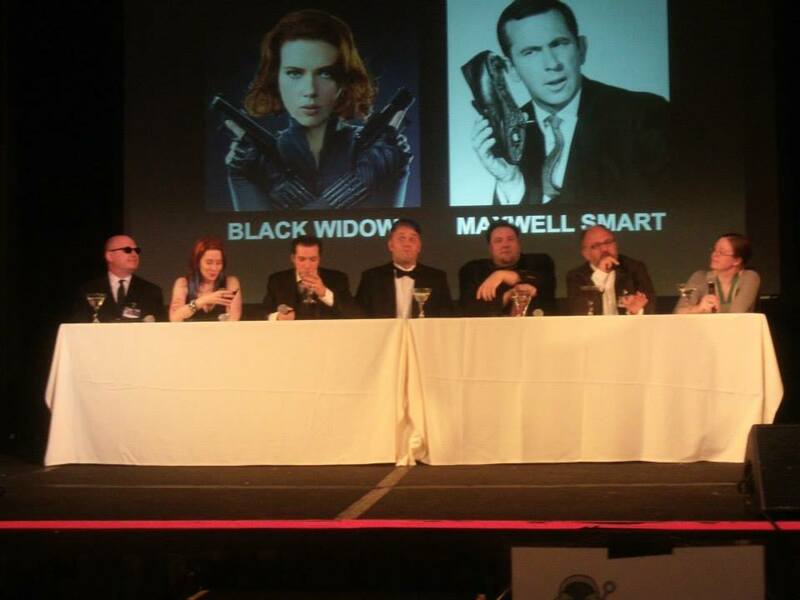 There weren’t any open chairs in the room where Mr. Williams was sitting, so we walked next door and found some seats in the corner, opposite where some of the convention’s actor guests were gathered and chatting, including Garrert Wang and Jewel Staite. At this point I should mention that this day Hal was wearing her newest cosplay, Catalina from Space Cases, a show that was produced by Peter David and Bill Mumy that was basically a similar premise to Star Trek: Voyager but done as a kids show. 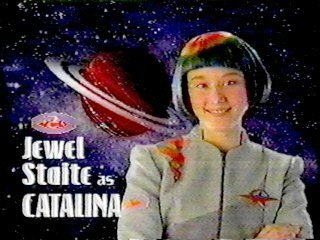 Hal loved this show as a kid, and especially the rainbow-haired Catalina, who was the ship’s engineer. 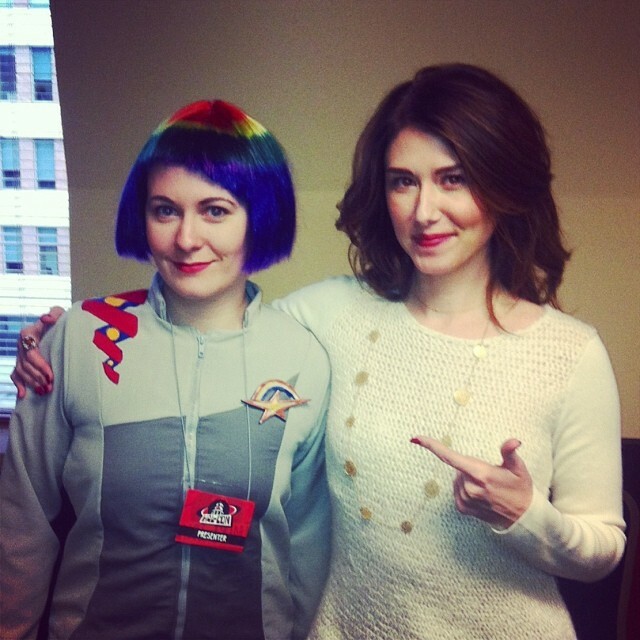 Oh, did I mention that Space Cases was Jewel Staite’s first TV series, playing Catalina when she was 12? We didn’t want to bother Jewel, Garrett, and company so we just sat down in the corner to talk amongst ourselves, but after a few minutes when some of them were getting up to leave, Jewel came over to Hal and said that she had never seen anyone cosplaying Catalina before, and asked if she could get a photo with her. She then posted it on her Instagram. And THAT is having something work out better than you could have ever planned for. After this we got to chat with Garret Wang a bit, hearing of his involvement with fandom, that includes running the Star Trek programming track for Dragon*Con, for which he flies to Atlanta five times a year on his own dime for meetings. 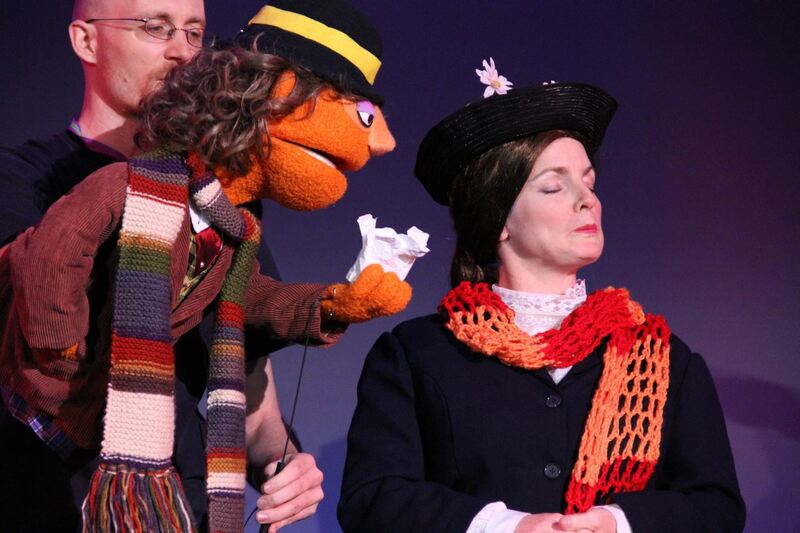 We also got to hear his George Takei impression. I’m still not sure which was more impressive. Suffice it to say that the Hal-Con organizers are taking a hard look at what didn’t work this year and are already at work making things better for 2014. It’s all part of the growing pains of running a popular nonprofit event! The Con Runners panel fell during Saturday’s overcrowding challenges, which meant that the Hal-Con runners who were slotted to be on the panel were unexpectedly busy. 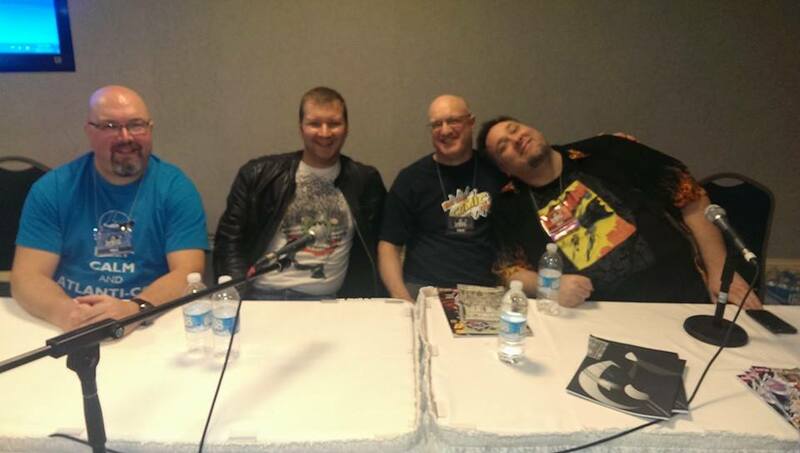 Still, it was great to sit down with some of the guys organizing the new East Coast Comic Expo, and compare notes about some of the challenges and planning involved when starting a convention. As you can see, we quickly formed a bond. I hope I can make it up to their convention in the coming years! 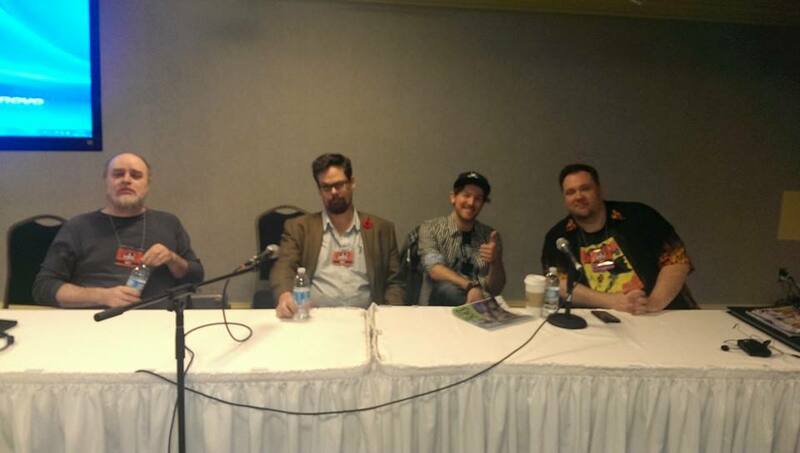 It’s always fun to sit on a panel with comics professionals and fans and just talk about the things we love about comics, from what got us interested in comics as kids to the state of the industry today. Ty Templeton is a living encyclopedia of comic books. He has the impressive/scary ability to identify 40-year-old Batman comics by the advertisements on the backs. Also, Woodgod is a really funny name. 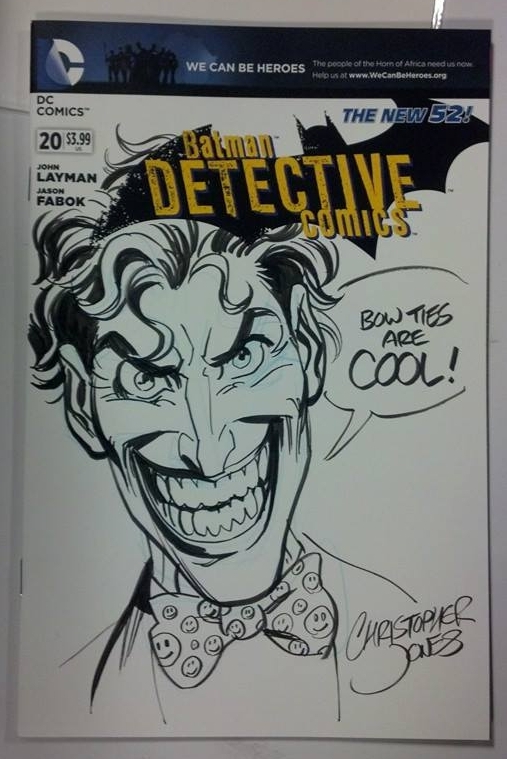 After an hour talking comics on a panel, it was off to talk more comics with fans at the Strange Adventures booth, where I did this piece for the Strange Adventures sketch cover collection. 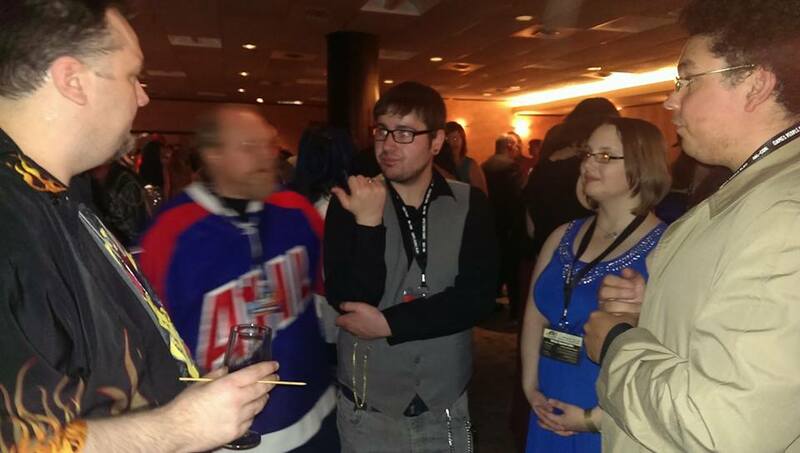 The Stargazer Soiree was a reception where Hal-Con volunteers & attendees who bought a Hal-Con Warp Speed Pass could meet-and-greet with Hal-Con Guests. 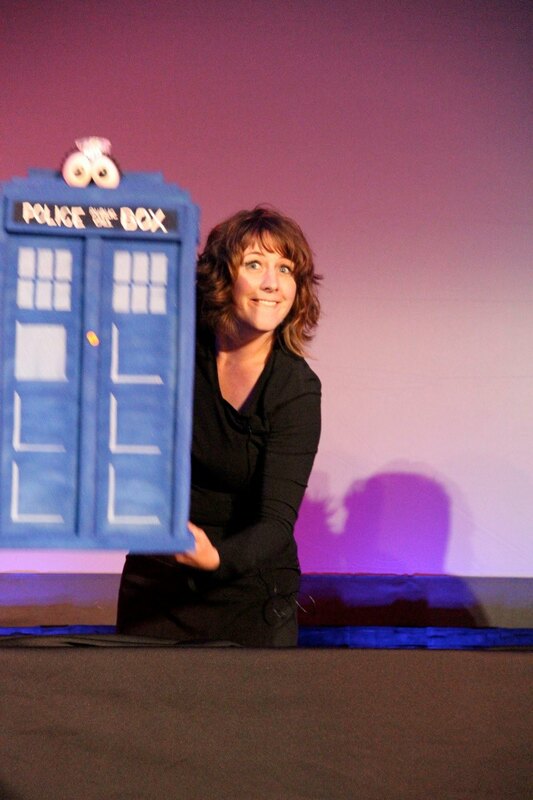 When I walked in, I was almost immediately approached by some fellow whovians who were eager to continue the discussion from Friday’s The Ethics of Doctor Who panel. I’m always happy to talk Who. I had more conversations at this thing than I can even remember, and met a lot of really cool people! 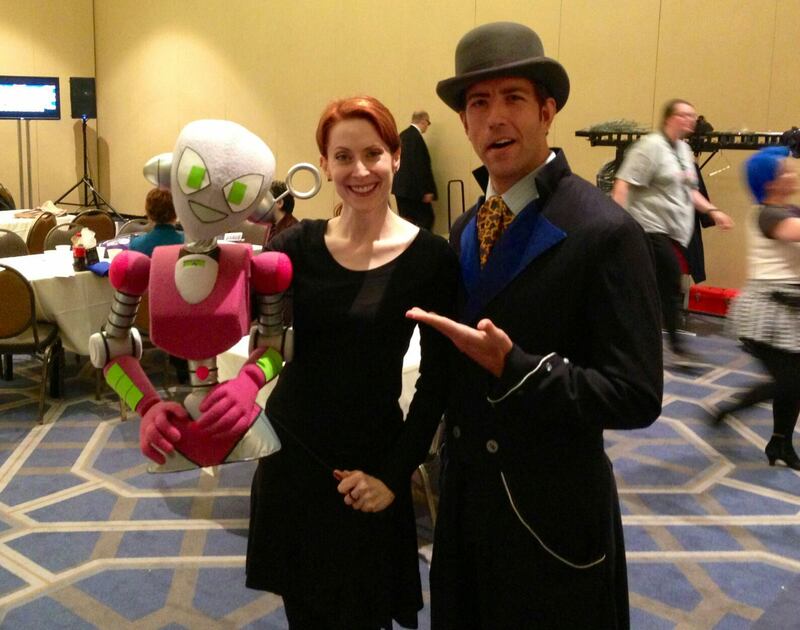 I also got to take a couple photos with Hal-Con organizers in their formals! One of my ongoing rants and a panel topic I suggest at most conventions I’m lucky enough to be invited to is All-Ages Comics. Often they are regarded and marketed by mainstream comics as for kids, rather than entertainment that is meant to be enjoyed by people of all ages. This has lead to fewer and fewer truly all ages mainstream comics being available, but IDW and smaller publishers seem to be embracing the market. Troy Little and Brenda Hickey were right on the same page with me about our appreciation for all-ages material, and it was great to have this discussion with them! A break! I took the opportunity for a quick tour through Artist Alley, as it’s one area of Hal-Con I hadn’t made it to yet. 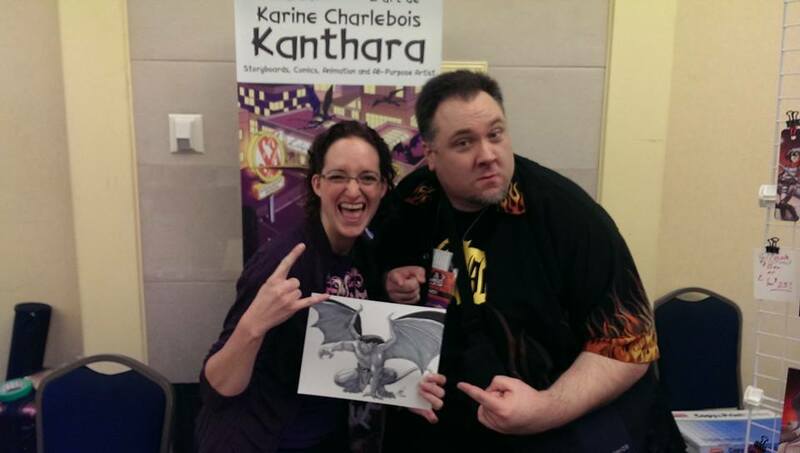 I ran into Gargoyles comic book artist, Karine Charlebois. We took this picture to tease Greg Weisman. Because we could. And Gargoyles is awesome. Greg, Karine and I are having a Gargoyles party at Hal-Con without you! 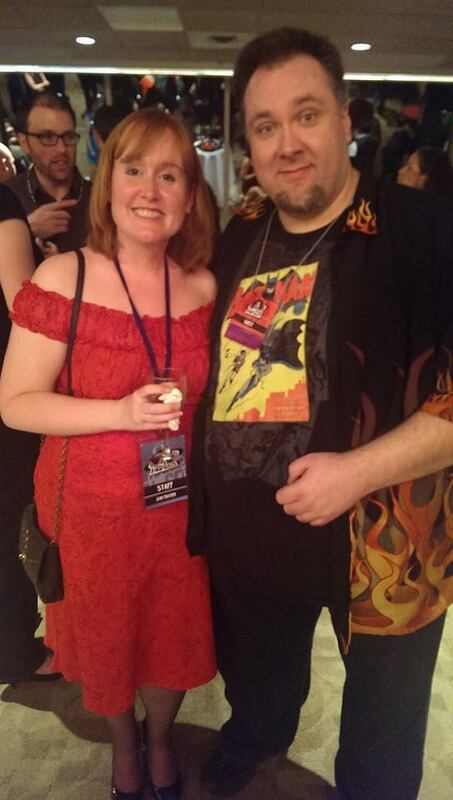 I also finally got to meet CK Russell, a talented artist whom I’d been talking to on and off on twitter for a while. In the running for my favorite panel at Hal-Con was talking with Ty Templeton about our mutual love of the 1960’s Batman TV series and our work on the Batman ’66 comic for DC. I think my favorite part of the panel was when Ty and I started geeking out over the minutia of drawing Adam West! 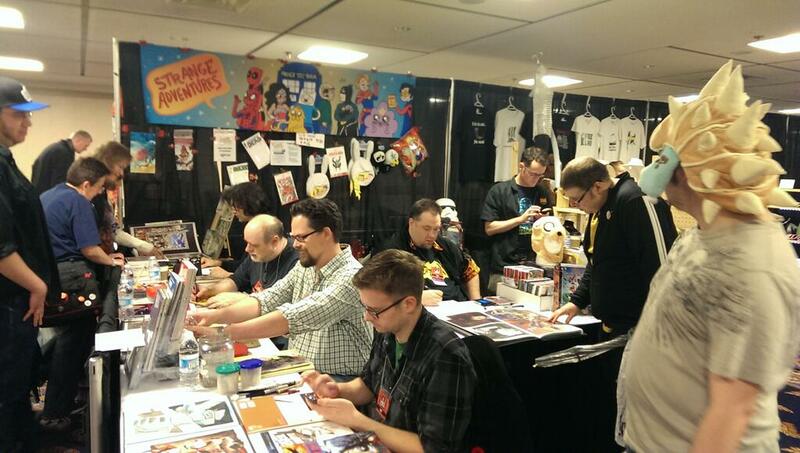 At the end of the day on Sunday, most of the comics artists guests returned to the Strange Adventures booth, which had become sort of a booth-away-from-booth for many of us at Hal-Con. Many thanks goes to Strange Adventures for sacrificing some of their retail space to host us at the convention and giving fans more opportunities to see us! Now that’s a community comic book store! When Hal-Con wrapped up, many of us comics guests went out to dinner, where we had the surreal experience of sitting next to a Russian hockey team. Also, I had Lobster served in the shell for the first time. I just never had and I figured there was no better place to try it than Maritime Canada! I do not regret my decision. After dinner, Hal, Steve and I decided to go to the Hal-Con Volunteers Party and hang out with all the awesome volunteers who helped make the convention happen. I did my best to stop at every table and thank everyone personally for all their hard work. Putting on a volunteer-run convention like this is no small feat and every single Hal-Con volunteer should be proud of this thing they have helped to create, and the fantastic fan community around it. I was truly honored to be invited as a guest. The Hal-Con community really did remind me of the CONvergence community, and those of you reading this whom I’ve worked with on CONvergence will know exactly what I mean by that. 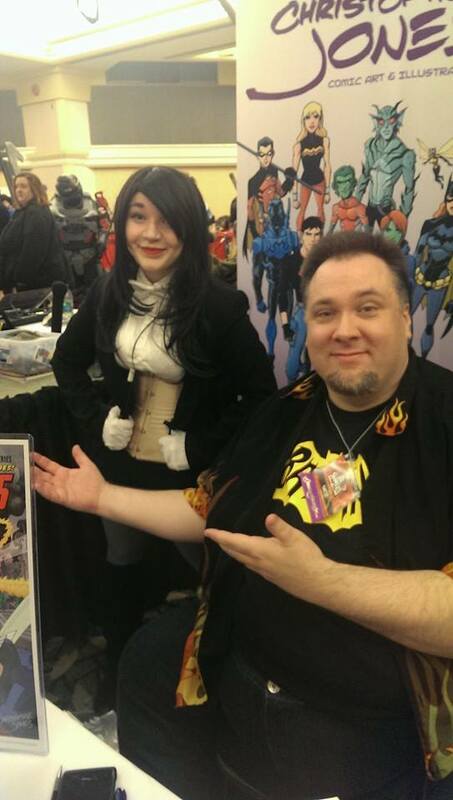 I wanted to end with some shout-outs to some of the volunteers who really made me feel like a Rockstar at Hal-Con. Thank you for all your hard work and for taking such good care of me! 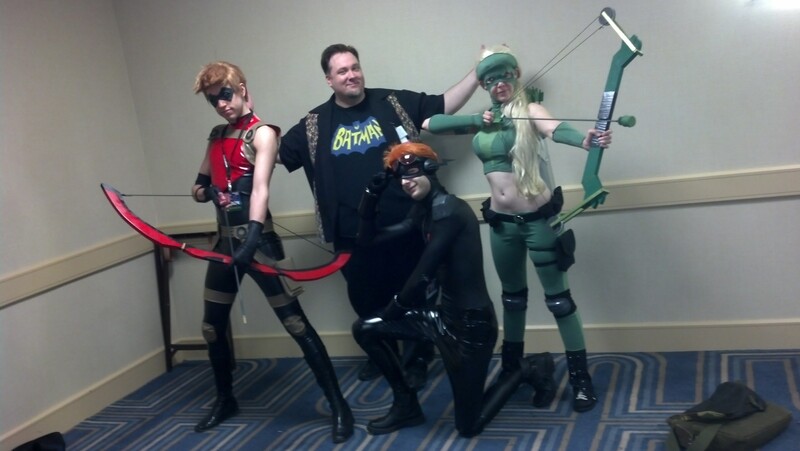 There are a few more pictures of my Hal-Con 2013 experience, including some of Hal-Con’s fantastic cosplays, on Facebook. Click here to see them! And please tag yourself/your friends! 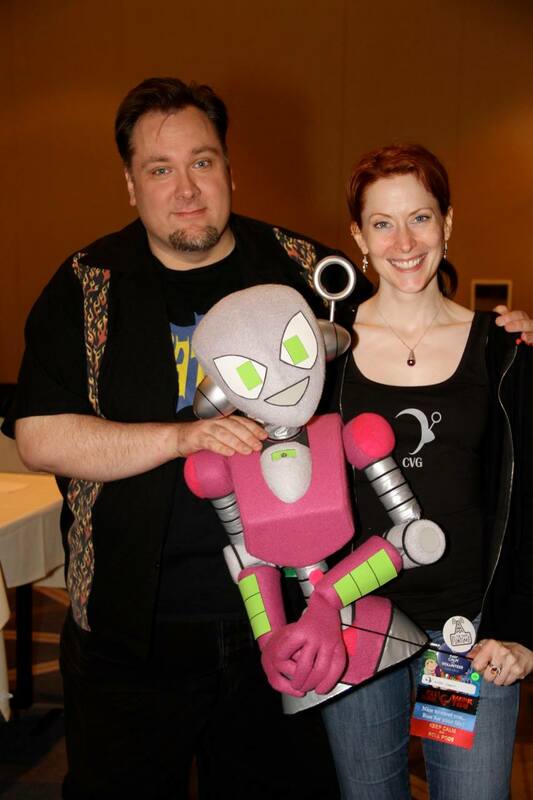 Thank you for everything, Hal-Con! 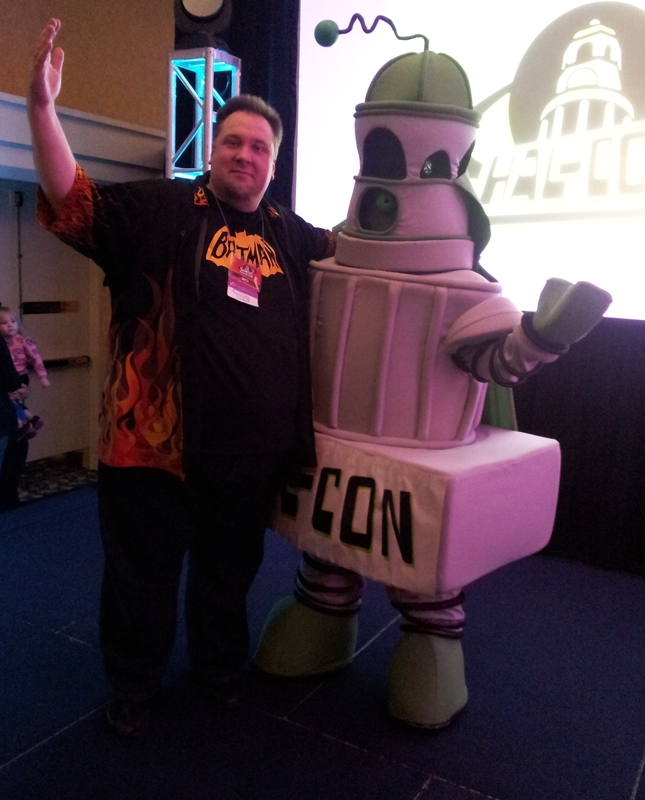 Conventions, CONvergence | Christopher Jones | December 18, 2013 4:46 pm | Comments Off on Hal-Con 2013 was Awesome! We had a new system for badges this year, with pre-printed plastic badges in a horizontal format, rather than laminating paper badges designed in a vertical format. The best outcome of this is that the badges now are friendly to the Badge Ribbon tradition popular at Gallifrey One and other conventions! Of course, this badge shape creates some interesting challenges for badge art. 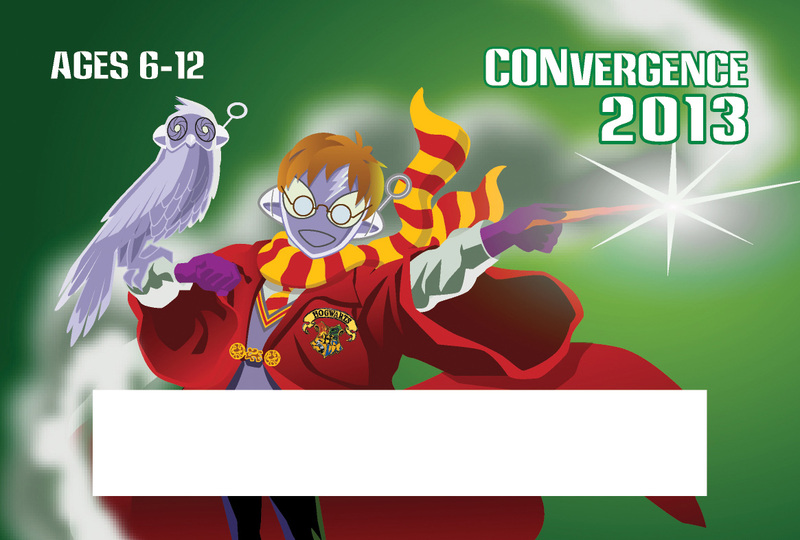 Here’s what I came up with for CONvergence 2013! 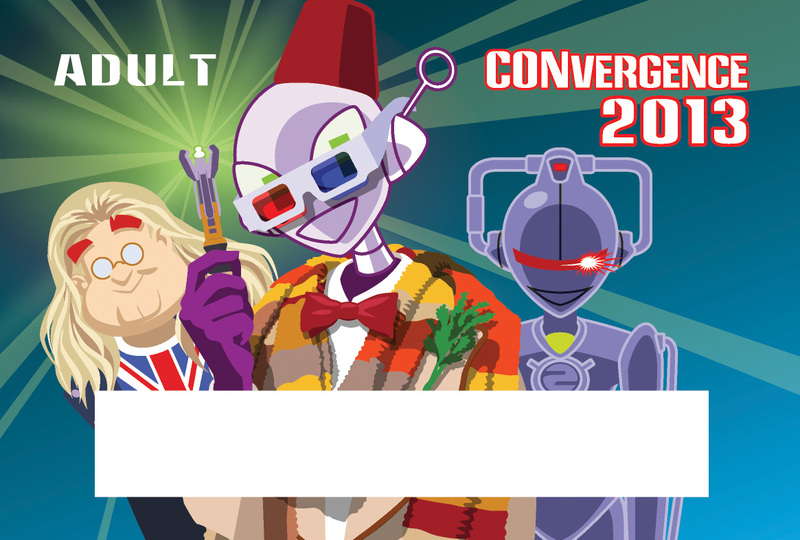 Without further delay, as promised, here are the CONvergence 2013 Guest of Honour Badges! Every year I do original badge art for each of the convention’s Guests of Honor. 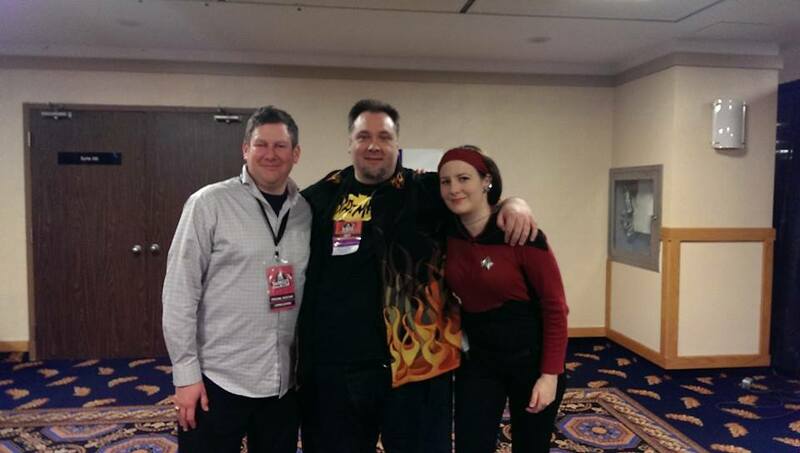 It’s a rather labor-intensive tradition, but it makes a great early impression with guests that their time at CONvergence is going to be something unique and special, and honestly it’s the best icebreaker in the world for me to meet these great people. They almost always flip when they see their badges and are excited to meet the crazy artist who made them! 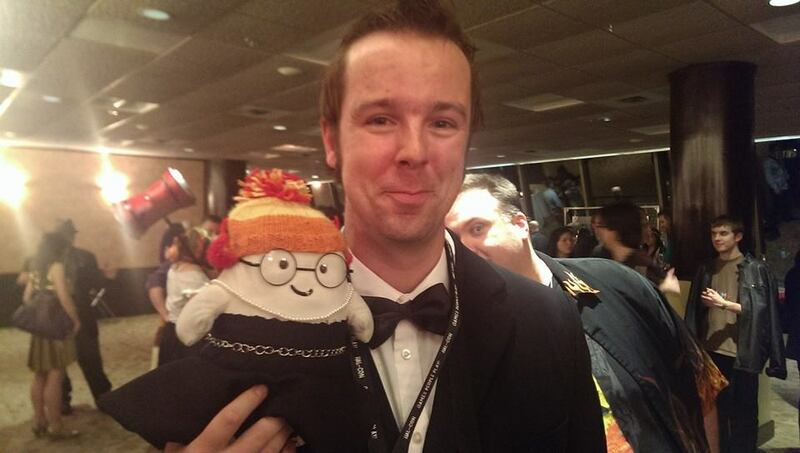 Here’s Lou Anders shown in the outfit he wore when accepting his Hugo Award. 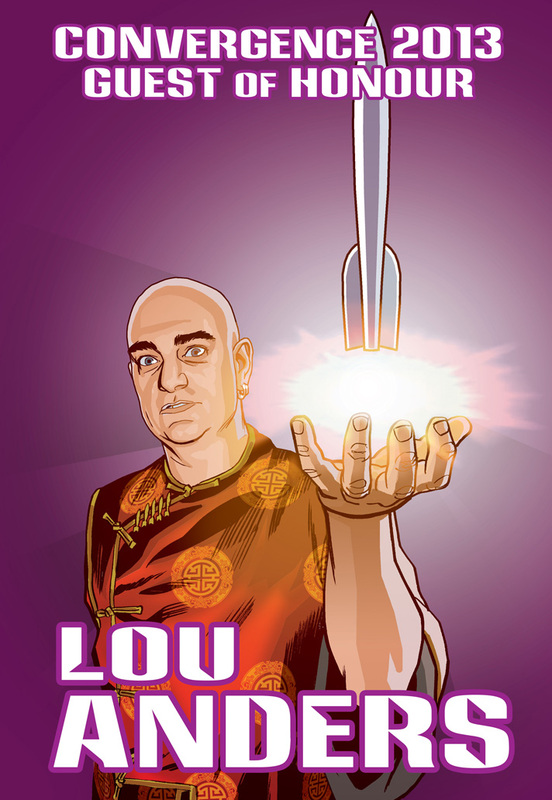 Lou seemed like a great guy and I was sorry I didn’t get more time to chat with him at the con. 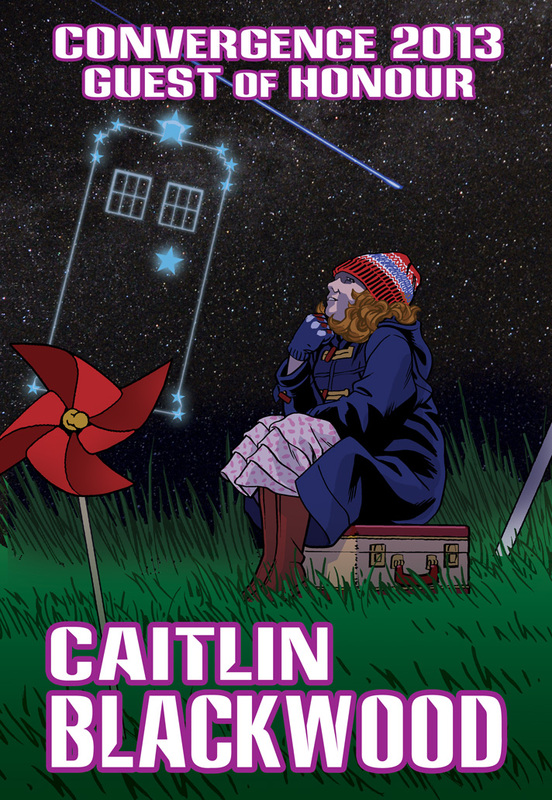 For Caitlin Blackwood‘s badge I went for her iconic moment as Amelia Pond from Doctor Who. 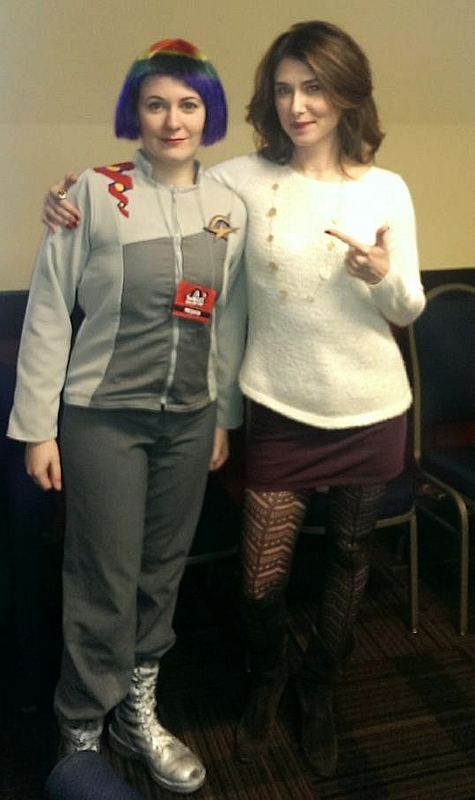 I didn’t get much of a chance to talk to Caitlin, but by all accounts she and her mom had a good time! I’d met Bill Corbett before, even getting to work with him on the Joseph Scrimshaw-produced Super Powered Revenge Christmas #1. 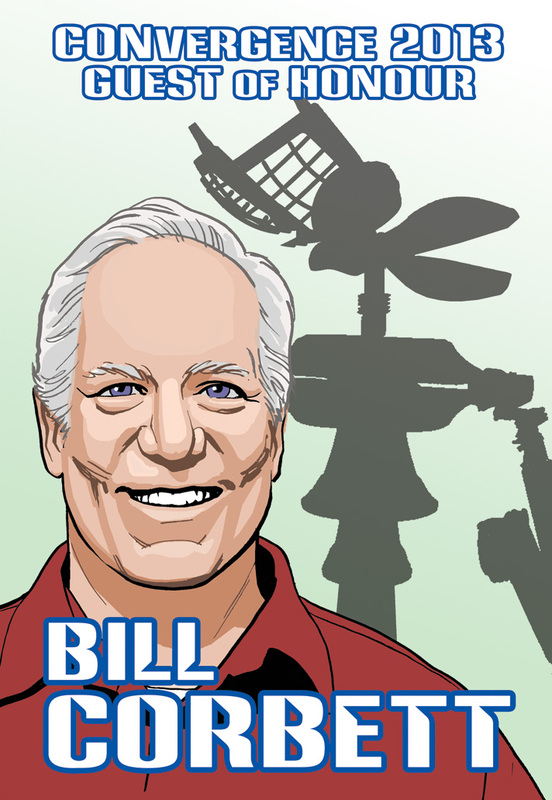 While Bill’s ongoing gig these days is Rifftrax, for the sake of a familiar visual I put the silhouette of Crow T. Robot (who Bill voiced after Trace Beaulieu) from MST3K. 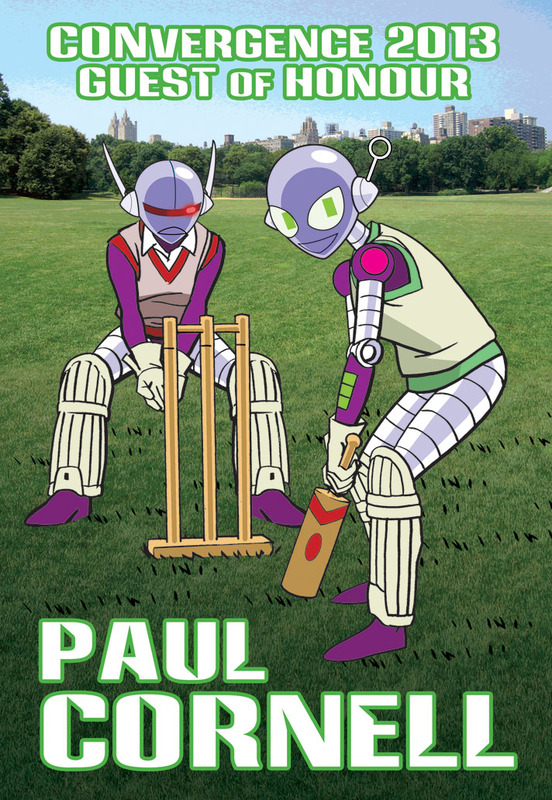 Paul Cornell has been good enough to visit CONvergence a number of times before, and rather than reference one of his writing projects again, I thought instead I’d highlight his now-traditional Cricket demo, with CONvergence mascot Connie and her sister robot Connie Mark 2 taking up the game. 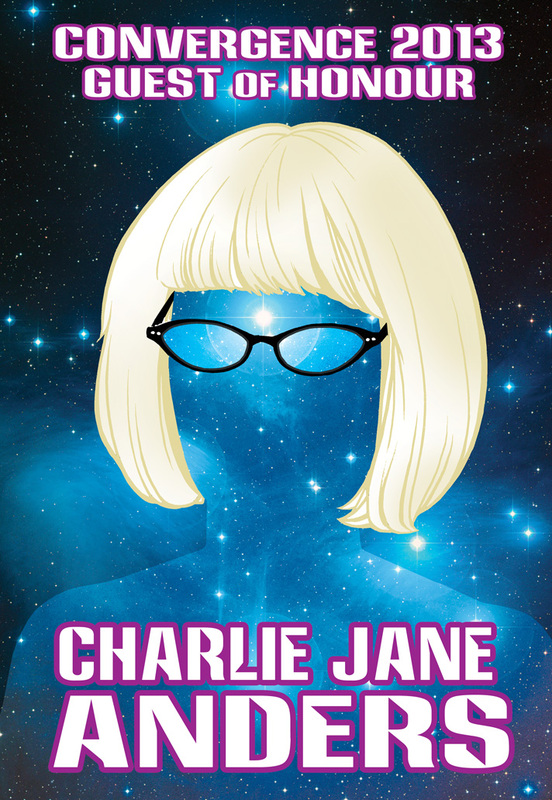 I usually avoid using Connie on the badge of first-time Guests of Honor, but referencing the poster for screenwriter James Moran‘s film Severance was too good to pass up. 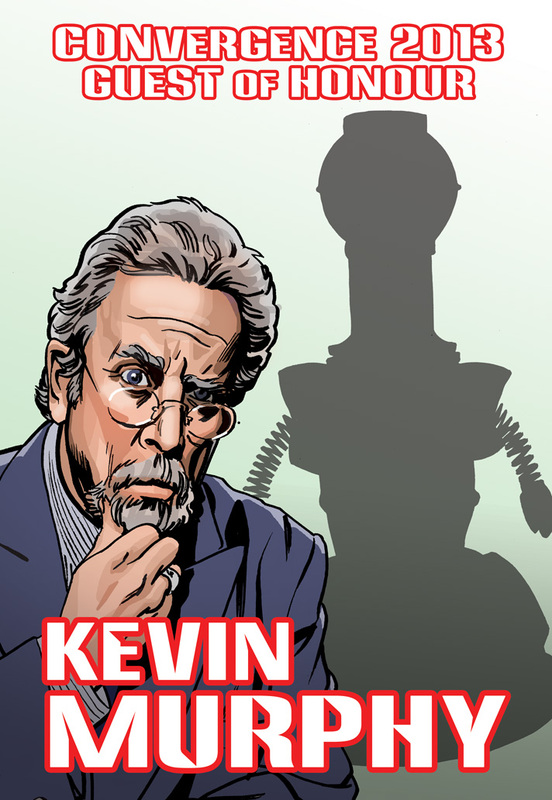 I hadn’t met Kevin Murphy before, and sadly still really haven’t. We were both in the same room a couple of times, but that’s as good as it got. 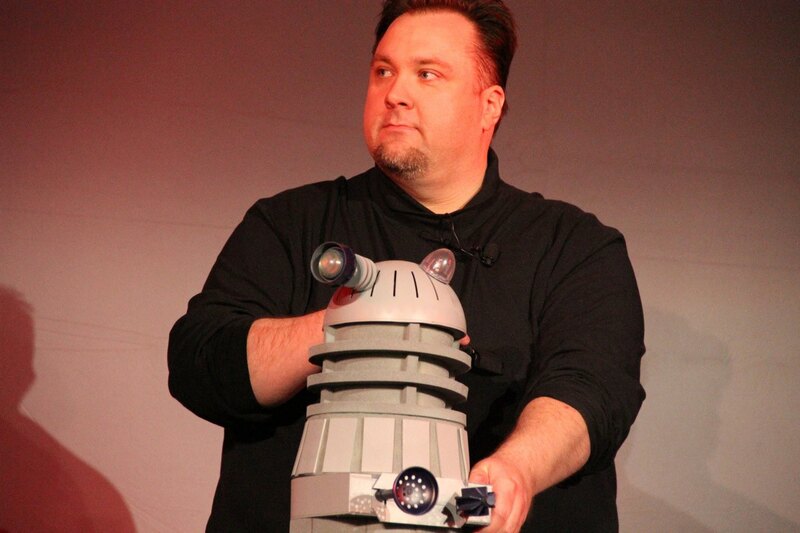 His badge is a companion piece to Bill Corbettt’s featuring the silhouette of MST3K‘s Tom Servo. I got to interview John Picacio for his One-on-One panel. His badge is a reference to his cover art for the novel No Going Back. 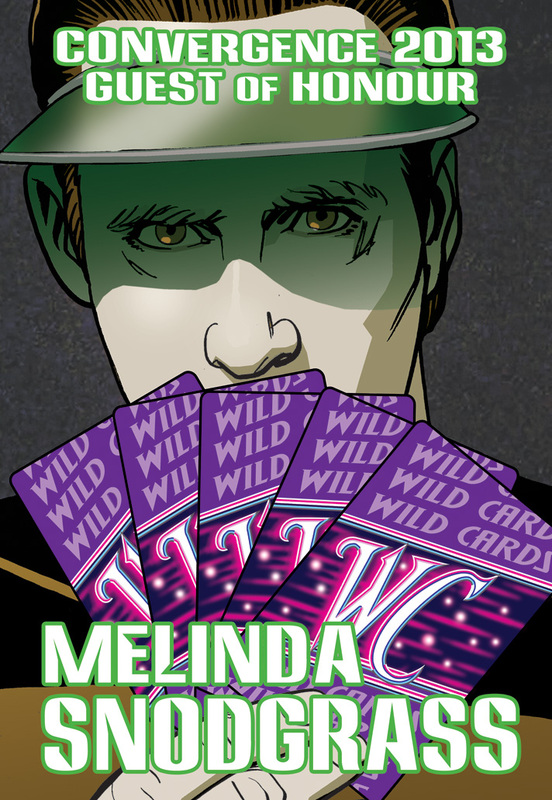 And finally, when I realized that Melinda Snodgrass‘ breakthrough Star Trek: The Next Generation episode “Measure of a Man” had introduced the Enterprise crew poker games and that she was one of the major contributors behind George R. R. Martin’s Wildcards series, the mash-up seemed rather obvious! I’ll have the rest of my CONvergence report up in a bit!